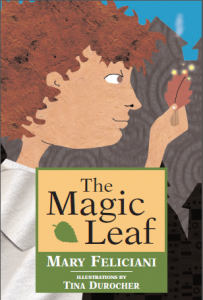 The Magic Leaf is about a small-town boy who learns the value of friendship. A medieval, Italian town named Roseto serves as the backdrop. The beautiful and colourful illustrations – all done in paper collage style – depict different parts of the town and journey. Although, the story unfolds in a different time and place, the message is universal and timeless.